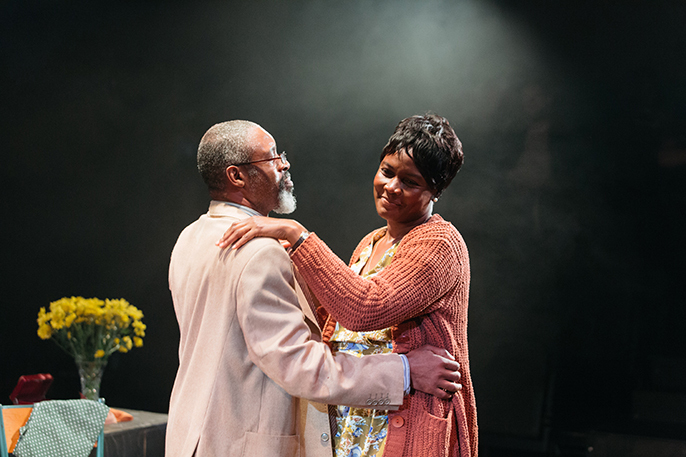 Over 30 years ago black British playwright, Winsome Pinnock penned LEAVING TAKING, a beautiful heart wrenching play based on a Jamaican family in Deptford, south east London. This year the Bush Theatre with director Madana Younis (THE ROYALE) and a fresh new cast revive this classic award-winning play. All I can say is that it is beautiful, relevant and a must watch. Please go and see it! 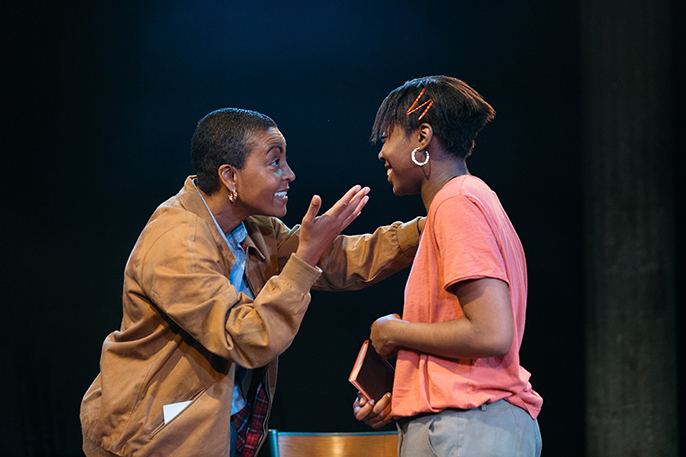 The play is set around a mother and her two teenage daughters, one on her way to university and the other losing her way to anywhere. 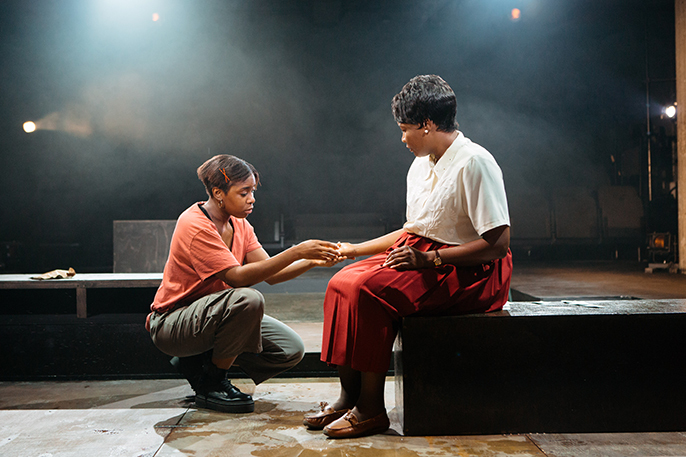 Enid (Sarah Niles) takes her daughters to the local ‘Obeah’ woman, Mai (Adjoah Andoh) for some traditional Caribbean soul healing and answers to questions that she just can’t speak out loud. Secrets and pain are spilled, misunderstandings of the past and confusion on the future unfold and there’s no turning back for all of these women as they navigate the frictions between their old home country of Jamaica and their new home country of England. This play explores the themes of family, culture and belonging so vividly and emotionally I was deeply moved and connected with the play in a way I haven’t felt in a long time. Honestly it felt like watching my own family’s story with the hard working mother who often keeps secrets from the past and never fully reveals what life was like when she was young. The drunken friendly Uncle Brod with his own pain and secrets played by Wil Johnson who I previously interviewed for Afridiziak, reminded me of so many male relatives that I had known growing up. His vivaciousness and comedic honesty on what it means to be English and Jamaican were bittersweet and sadly still so relevant today in relation to the recent Windrush immigration scandal. 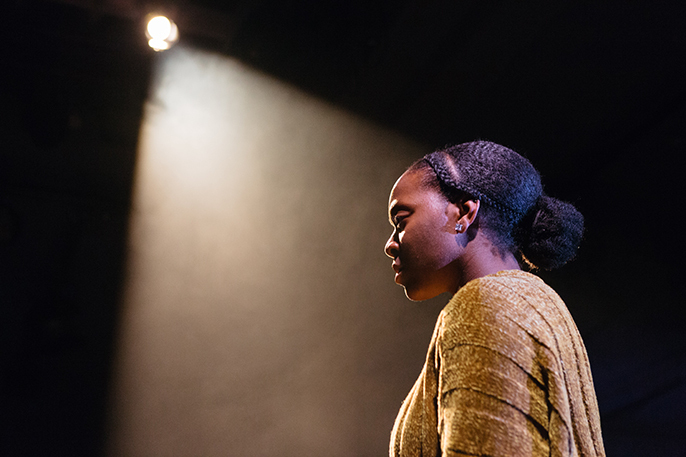 LEAVE TAKING explores the themes of family, culture and belonging so vividly and emotionally I was deeply moved and connected with the play in a way I haven’t felt in a long time. For the young sisters their challenge is found in trying to find their place in a world where they are constantly “bottom of the pile” but also strangers to their motherland. Where do they belong? There is so much to say about this play but I don’t want to give it all away. All I can say is that it is beautiful, relevant and a must watch. Please go and see it!